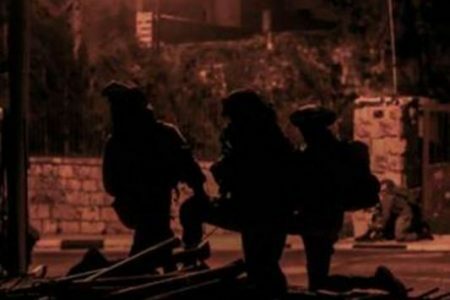 Three Palestinian young men were injured with rubber-coated metal bullets, and many others choked on teargas in the confrontations with the Israeli occupation forces (IOF) on Friday in Taqu' town in Bethlehem province. 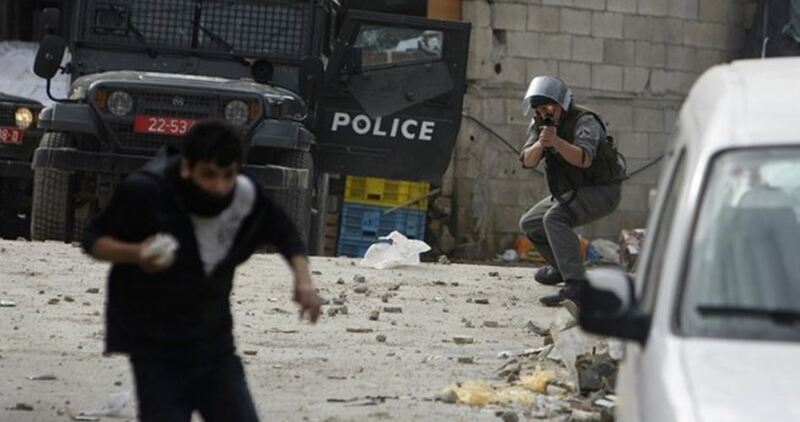 A fourth young man was injured in the confrontations in a Ramallah village. The Palestine News Agency, Wafa, said, quoting the mayor of Taqu', Tayseer Abu Mefreh, that clashes erupted at the western entrance and in the center of the village between Palestinian youths and the IOF soldiers who fired metal bullets, tear gas canisters and sound bombs causing 3 injuries with metal bullets while the tear gas suffocation cases that were treated in the field. The town witnesses regular clashes due to the repeated incursions conducted by the IOF into the area. A young man was injured in the foot following the IOF firing of gun shots, metal bullets and tears gas canisters during the clashes that broke out at the entrance of Silwad town to the east of Ramallah city. A number of Palestinian citizens and foreign activists choked on tear gas fired by the Israeli occupation forces (IOF) to quell the anti-settlement and anti-wall peaceful weekly marches in the West Bank on Friday. The IOF quelled the Kafr Qaddoum anti-settlement weekly march in Qalqilya which called for opening the village's street which has been closed for 14 years ago in favor of the Jewish settlers of Kedumim settlement established on the lands of the village. Coordinator of the Popular Resistance in Kafr Qaddoum, Murad Shtewi, said that a large force of the Israeli army reinforced with military vehicles and bulldozers stormed the village from several directions under heavy firing of tears gas canisters, sound bombs and rubber-coated metal bullets, causing dozens of suffocation cases. The Palestinian youths responded by throwing stones. A number of Israeli soldiers broke into a Palestinian house and set up an ambush in an attempt to arrest Palestinian youths, yet no arrests were reported. In a relevant development, the residents of Kafr Qaddoum called on the civil institutions and children organizations to immediately intervene to protect children from the repeated violations by the Israeli army, the last of which was conducting field investigation with three children about their participation in the weekly march and threatening to arrest them. Meanwhile, IOF soldiers suppressed the anti-settlement, anti-wall weekly march in Bil'in village to the west of Ramallah city. According to a local source, dozens of suffocation cases were caused among Palestinian citizens and Israeli and foreign peace activists after the IOF fired tear gas canisters and sound bombs at them. The marchers roamed the streets of the village chanting slogans calling for national unity and stressing the need to adhere to the Palestinian constants, resist the Israeli occupation, and release all the Palestinian prisoners. Other suffocation cases were reported on Friday among Palestinian citizens and foreign activists after the IOF quelled the peaceful weekly march against the settlement expansion and apartheid wall in Ni'lin village to the west of Ramallah city. The protesters showed solidarity with Abdullah Amira, a resident of the village, as the Israeli authorities extended his administrative detention for the third time in a row. Scores of Palestinian activists and journalists suffered injuries on Thursday afternoon when Israeli soldiers attacked them during a peaceful protest rally against the establishment of a new settlement outpost on Palestinian land in the northern Jordan Valley. 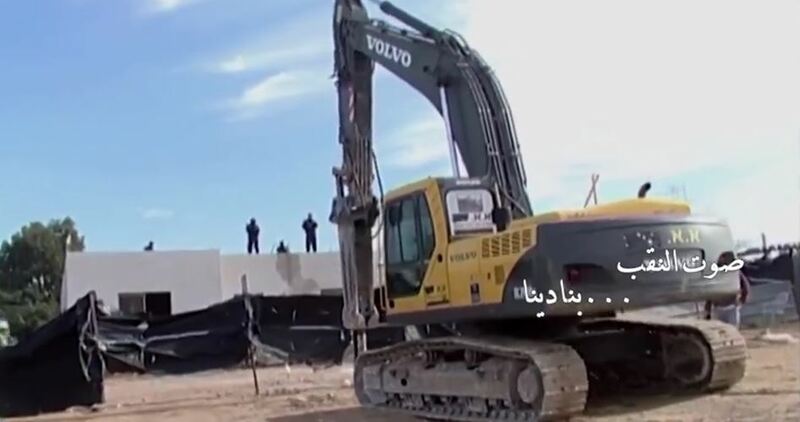 Local sources told the Palestinian Information Center (PIC) that dozens of anti-settlement activists and journalists from different media outlets rallied in a new Israeli outpost under construction in Wadi al-Maleh area before soldiers stormed the area and viciously attacked them. The sources added that the activists stood up in the face of the soldiers, who showered them with volleys of tear gas grenades and rubber bullets. Several journalist and protesters suffered rubber bullet and tear gas injuries during the events, according to the same sources. The soldiers also physically assaulted many journalists and protesters, while other media crews were prevented by the Israeli army from accessing the area to cover the events. Searching works for the Gazan missing fisherman, Mohammad Al-Hissi, who was missed on Wednesday after Israeli occupation navy drowned a Palestinian-fishing boat off Gaza shores, are being continued for the third day. Fishermen syndicate captain, Nizar Ayyash, denied the news about finding his body in the northern Gaza sea after the Israeli navy hit the fishing boat deliberately. Ayyash also underlined that the family of the Palestinian victim denied the news as well. The attacks triggered a wave of anger amid Palestinians in Gaza whereas many parties condemned such Israeli repeated attacks against Gazan fishermen off Gaza shores. Hamas and Islamic Jihad Movements charged the Israeli authorities with responsibility in full for the continuation of Israeli violations and perceived the attack as a systematic crime that needs a serious standing from international human rights institutions. Chief of the Gaza fishermen Nizar Ayyash announced that all fishing activities in Gaza waters would be suspended on Thursday and Friday in protest at the sinking of a fishing boat and the loss of a fisherman aboard it following a deliberate ramming attack by an Israeli gunboat. Ayyash told a news conference on Thursday in Gaza Port that a search operation was launched to find the missing fisherman, accusing the Israeli navy of deliberately sinking the boat. 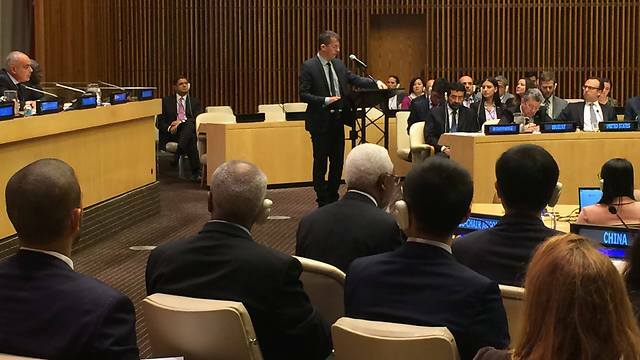 He strongly denounced the Israeli navy’s daily aggressive practices against the fishermen, who struggle to make ends meet, and appealed to the international community and its concerned organizations to work on protecting Gaza fishermen against Israeli violations. Dozens of fishermen, citizens and relatives of the missing fisherman rallied yesterday morning to protest the Israeli navy’s wanton attack on the fishing boat. 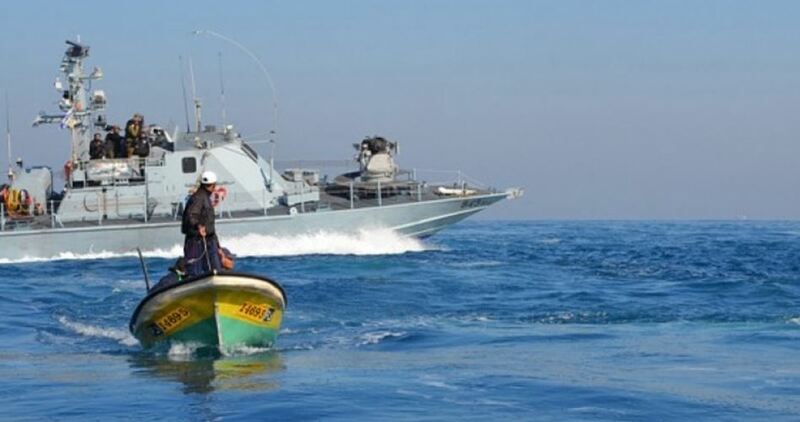 An Israeli gunboat on Thursday morning rammed into a Palestinian fishing boat off the coast of al-Sudaniya area in northern Gaza, causing it to capsize and one fisherman aboard it to drown. The victim was identified as Ahmed al-Hissi. 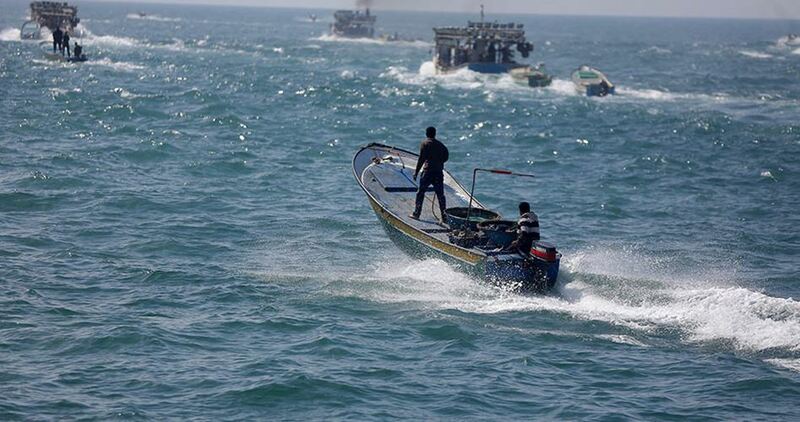 The Palestinian ministry of transportation issued a statement denouncing the Israeli navy for its persistence in attacking Gaza fishermen, accusing it of deliberately tipping over the fishing boat. For its part, the Hamas Movement held Israeli government fully responsible for the repercussions of its ongoing arbitrary practices and violations against the Palestinian fishermen. 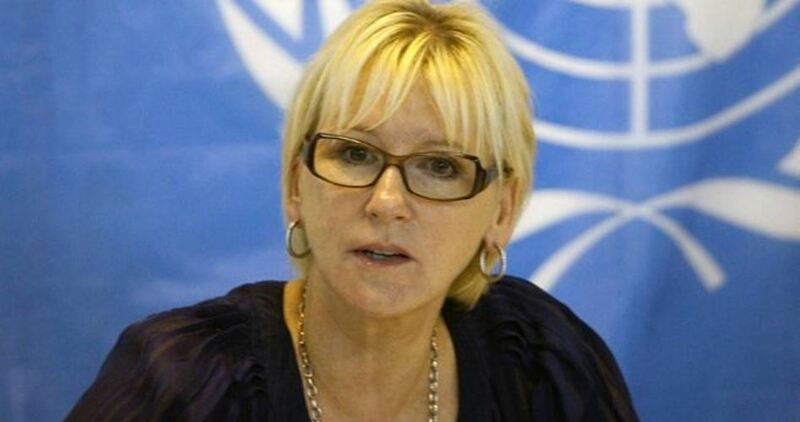 Qanua urged international human rights groups to state their positions on this crime and work on curbing Israel’s daily violations against the fishermen in Gaza. The Islamic Jihad Movement also slammed what happened to the fishing boat and described it as another blatant violation of the truce agreement in Gaza. In a press release, Islamic Jihad stressed that the Palestinian resistance in Gaza has the right to retaliate to Israel’s aggression against its own people. “If Israel’s aggression and unjust blockade do not end, we have the right to defend ourselves and our people,” the Movement said. The Palestinian ministry of agriculture in Gaza said that the Israeli occupation authorities have started to spray pesticides by planes along the Gaza border. Adham Bassiouni, an official at the Ministry of Agriculture, considered this measure as "a kind of extra siege" practiced by the IOA against the Palestinian farmers. "This Israeli repeated procedure in recent years aims to destroy the agricultural land and to cut off the livelihood of their owners," he added. He noted that the Israeli pesticides have a negative effect on Palestinian crops. This sometimes causes huge losses for Palestinian farmers in the besieged territory. Last year, he explained, most of the crops in over 4000 dunums near the border were damaged. Bassiouni highlighted that the ministry asked the office of the International Committee of the Red Cross in the Gaza Strip to coordinate with the IOA in order to know the dates of spraying pesticides but the latter replied that it was going to be sprayed between December 25 and January 15 which was not enough to take preventive measures by the ministry. The Israeli occupation forces (IOF) on Thursday opened machinegun fire at the eastern border areas of the Gaza Strip. Local sources pointed out that the IOF soldiers positioned along the eastern border of the Gaza Strip opened random fire at the border areas. Farmers and bird hunters fled the area, the sources said, adding that no injuries were reported in the incident. 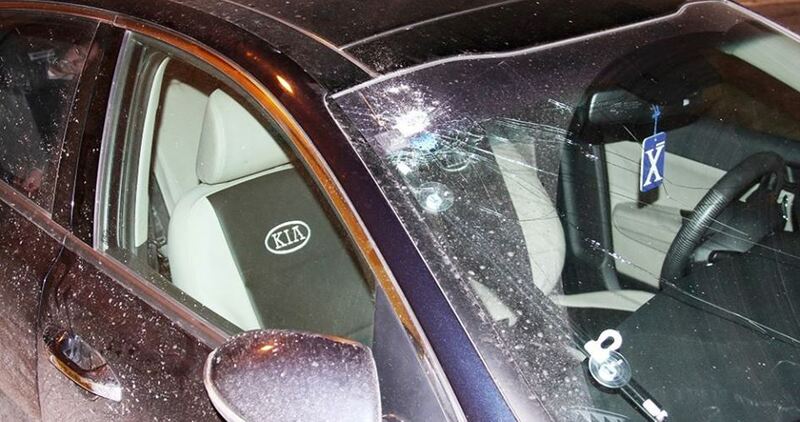 The Israeli Occupation Forces (IOF) on Tuesday night have opened fire at the vehicle of the undersecretary of the Palestinian Ministry of Health, on his way from his office in Ramallah to Bethlehem. Israeli occupation soldiers have deliberately opened fire on the car of Dr. As’ad al-Ramlawi when it was near the al-Ram town, in Ramallah. The ministry confirmed in a press statement on Wednesday that the undersecretary was not hurt in the shooting. However, the vehicle's front glass was severely damaged. 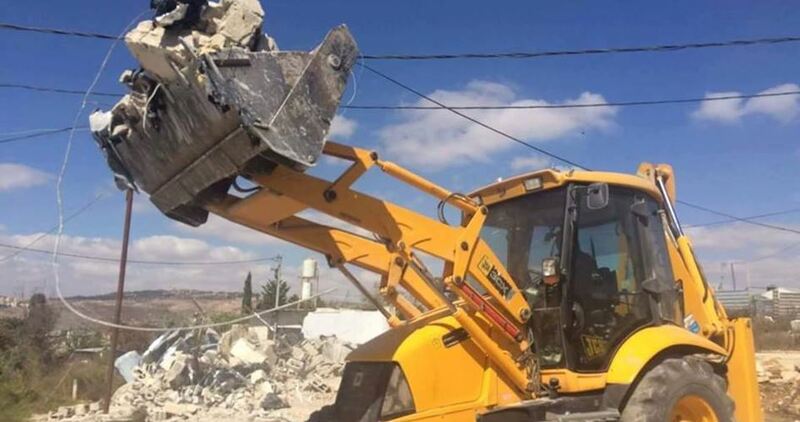 The Israeli authorities on Wednesday demolished two apartments in Beit Hanina town, northeast of Occupied Jerusalem, and failed to carry out a demolition order against a house in Budrus town, northwest of Ramallah in the West Bank. Over 50 border soldiers stormed al-Ashqariya neighborhood in Beit Hanina at dawn, encircled the apartments and ordered the families who lives in to evacuate them immediately. Yaser Musalema said that he and 15 of his family members were forced to stay out in the cold and rainy weather after Israeli bulldozers knocked down their apartments. 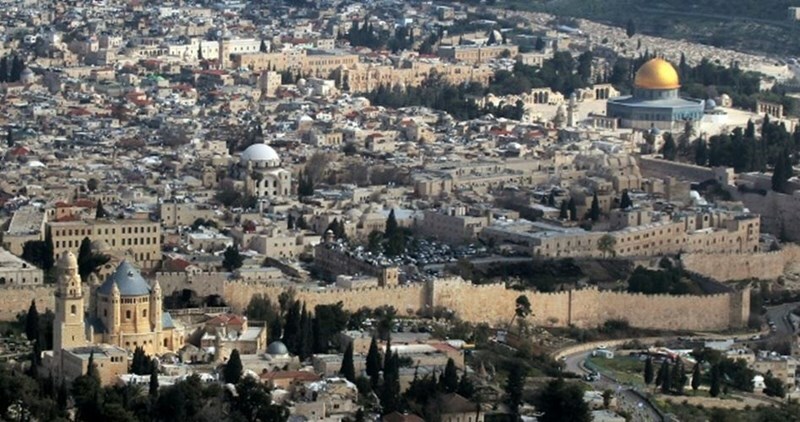 “The Jerusalemite citizens are targeted in all aspects of their lives, through imposing taxes and not giving them construction permits,” Musalema complained. 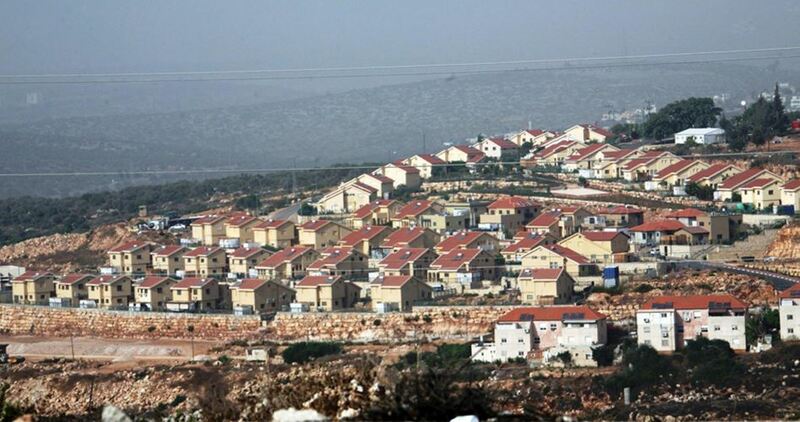 In Ramallah, Palestinian citizens were able later on the same day to frustrate an Israeli plan to demolish a house in Budrus town after they gathered inside and around it. Head of the Budrus municipal authority Mohamed Khaled explained that officials from the civil administration of the Israeli army escorted by soldiers came to the town with a bulldozer to destroy the house of Issa Abdul-Kharim. Khaled said that dozens of local residents rallied inside and outside the house and stood up in the face of the soldiers. The soldiers tried to disperse the citizens by showering them with tear gas grenades, but they failed and had to withdraw from the town without demolishing the house, the official added. He affirmed that the Israeli authorities tried to demolish the house without notifying the owner about that in advance. Violent clashes broke out on Wednesday evening after the Israeli army set up a makeshift checkpoint on a road near Bani Naim town, east of al-Khalil city. According to local sources, the checkpoint was established between Bani Naim and Adduwara area in Sa’ir town, where Israeli soldiers intercepted and delayed Palestinian citizens, including factory workers. This situation provoked local young men from the area into hurling stones at the soldiers, who responded by firing tear gas and stun grenades. Locals from nearby towns said the checkpoint was part of drills conducted by the Israeli army for new male and female recruits. The Israeli navy on Wednesday evening ferociously attacked Palestinian fishermen and their boats off the northern shores of the Gaza Strip. According to the Palestinian Information Center (PIC), a fishing boat sank during the attack and the fisherman who was aboard disappeared from sight. The incident happened when an Israeli gunboat swamped the boat using a water cannon. There is still no information about what happened to the fisherman. As this boat was sinking, Israeli naval troops attacked other fishermen and their boats by firing flares and live ammunition at them off the shores of al-Sudaniya and al-Waha areas and forced them to return ashore. Local sources affirmed that the fishermen were working within the permitted fishing zone, describing the attack as unjustified. Israeli gunboats are around Gaza fishermen every day, harassing them, shooting at them, damaging their boats, and making arrests. Sometimes fishermen are injured or killed during gunfire attacks. But fishermen and human rights groups say that, since the 2008-09 war in Gaza, the Israeli army regularly enforces a limit even closer to the shore. More than 20 Palestinians were arrested during an Israeli police raid in Shu'fat refugee camp to the northeast of occupied Jerusalem on Wednesday evening. 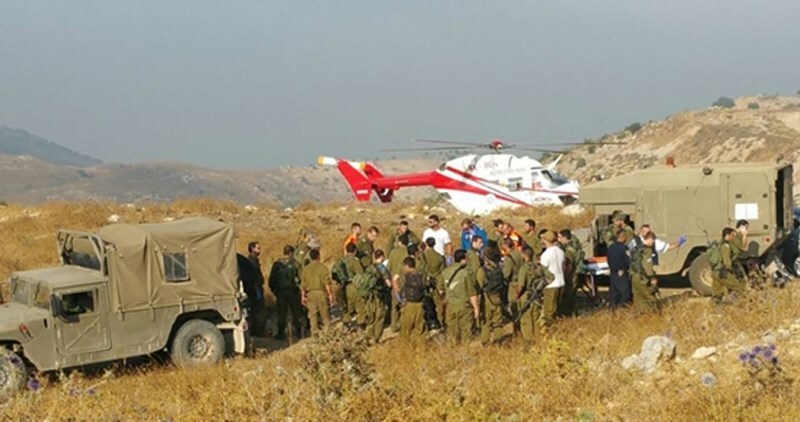 Spokesman of Fatah movement in Shu'fat, Thaer al-Fasfoos, said that dozens of Israeli policemen tried to break into the camp, but the Palestinian youths confronted them leading to the outbreak of clashes between the two sides. Al-Fasfoos told Quds Press news agency that the Israeli policemen fired gas bombs close to the houses causing suffocation cases among the citizens that were treated at the scene. He added that the Israeli police officers scrutinized the identity cards of the young men and passersby in the camp before they arrested about 20 citizens and took them to a nearby military checkpoint. Meanwhile, other clashes broke out between Palestinian youths and Israeli occupation police in Hizma town to the northeast of Jerusalem, during which the Israeli forces fired sound bombs and rubber bullets at the youths. 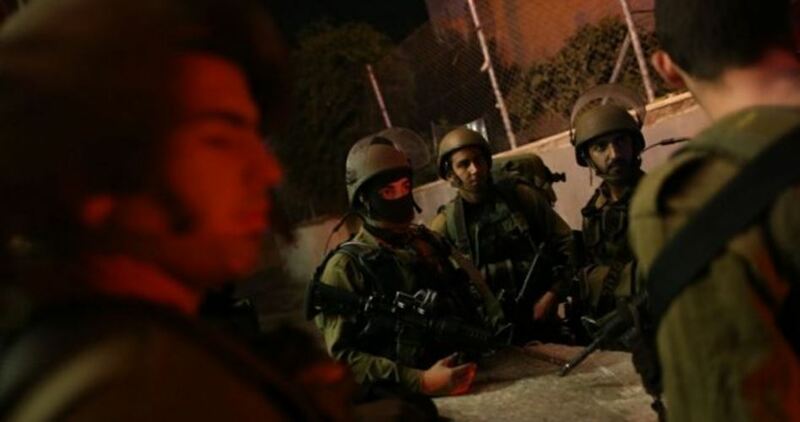 The Israeli Occupation Forces (IOF) launched at dawn Wednesday a large-scale raid and search campaign throughout West Bank and Jerusalem during which 27 Palestinians were rounded up. According to the PIC reporter, Israeli forces stormed Tulkarem amid heavy firing of teargas bombs and violently searched a number of local homes. Four young men were detained during the raid. Two other youths were arrested as IOF broke into Bethlehem to the south of occupied West Bank, while a female ex-detainee was summoned for investigation. Similar raids were carried out in al-Khalil where four locals were kidnapped from their houses including two brothers which led to the outbreak of violent clashes. Large amounts of money and three guns were allegedly found during the raids reported in al-Khalil and Jenin. Several checkpoints were also erected in Burin town, south of Nablus, as Israeli forces stormed the town at dawn today. Two more arrests were carried out near Ramallah. The Israeli army on Tuesday night carried out a limited incursion into a border area southeast of the Gaza Strip, amid random gunfire. Local sources reported that flares lit up the sky over the eastern outskirts of Rafah as Israeli soldiers with dogs infiltrated into and combed the area, amid intensive shooting. The Palestinian authorities in Gaza accuse the Israeli army of persisting in violating its Egyptian-brokered truce deal in 2014 with the resistance by carrying out shooting attacks and incursions in border areas.